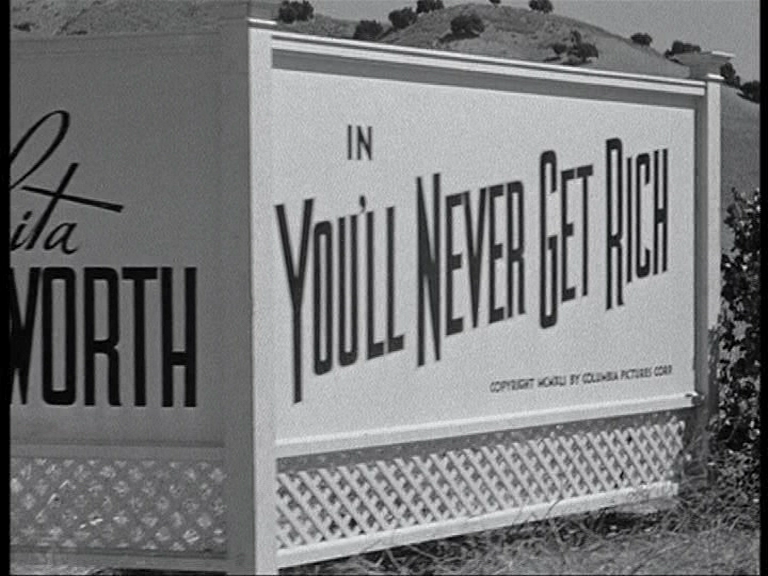 You’ll Never Get Rich is the first of two pictures Fred Astaire and Rita Hayworth made together. It launched Hayworth as a major star and pinup icon, and gave Astaire a much-needed boost in a career suffering from the lack of Ginger Rogers. Rita was truly beautiful, and a talented dancer as it turned out. Fred was as graceful and charming as ever, and the dance routines are magical. Problem is, all these great ingredients are dumped into a picture that isn’t very good. And… why is it called You’ll Never Get Rich anyway?